Home UFT How To Work With Automation Object Model In UFT? How To Work With Automation Object Model In UFT? What is Automation Object Model In UFT? 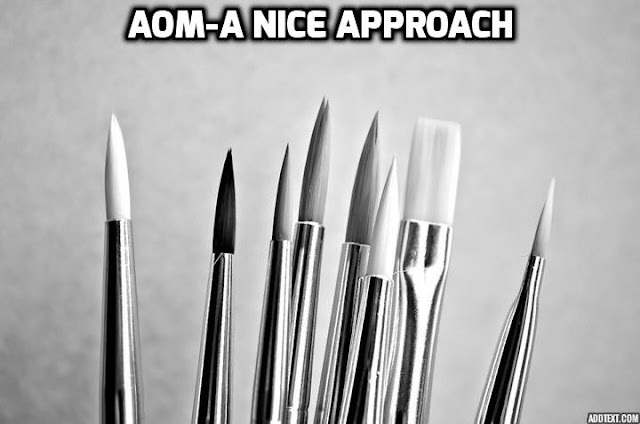 AOM stands for Automation Object Model. This is an way to use UFT/QTP and its resources . By this approach we can control the QTP from a separate program like-a VBS,macro. This is accomplished using COM interface.that gives a freedom to access the all most 90% of the components of the software. Based on COM , AOM can communicate with the components. (access different methods,properties,object). It provides a set of controls, methods to help a developer/automation tester to execute script without touching UFT. It is externally useful while triggering batchrun from Jenkins or making an one click automation. Want to schedule scripts in a machine. AOM is the better solution for the above uses. It uses COM (Component Object Model)- In the below section, we will see how to create an object of UFT application and work with different components of it. READ Which is better Xpath or DOM? qtApp.Activateview "Expertview" 'Open Expert View can be "keyWordView"
qtApp.WindowState="Maximized" 'Maximize the UFT,can aslo be set as "Minimized"
qtTest.settings.run.onError="NextStep" 'can be stopped by passing "Stop"
' or we can show error dialog by passing "Dialog"
qtTestRecovery.Add "path of the recovery file","Name of the recovery",1,"description"
qtApp.Test.Settings.Resources.DataTablePath="Path of your data table"
There are two launcher available out of the box. To work with these, we need to create these parameters in QTP first. qtApp.Test.SaveAs "path of the script and Script Name"
Print "User Connected to ALM Server"
Print "User is not Connected to ALM Server"
Print "User is Logged into ALM Server"
Print "User is not Logged into ALM Server"
Easy Way to Build this AOM file: Setup everything in UFT/QTP: Option 1: Go to test settings->General Tab–>Object Identification Tab–>Click on Generate button–>Provide the path–>Provide the name–>Click on save Option 2: Go to Test–>Settings–>Properties Tab–>Click on Generate button–>Provide the path–>Provide the name–>Click on save Option-3:Go to tools->Option–>General Tab–>Click on Generate button–>Provide the path–>Provide the name–>Click on save after few settings you will be able to understand the settings. How to Close Any Application From VBA,QTP,VBScript? This is the code where you can close any application.Even from QTP You can give this command to stop any application. Find out which application you want to close. Go to process and Select it. It will navigate you to Process page. Just remember the process name of the corresponding application. How to make a script location independent in UFT or QTP? How to Run Excel Macro using UFT?